Alright! Check out today’s top bargain on Amazon, 20% off Fisher-Price baby items! 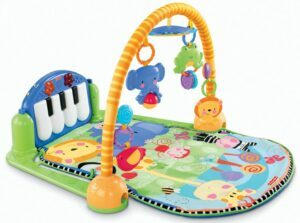 I spotted this Fisher-Price Discover ‘n Grow Kick and Play Piano Gym for only $38.99 (Regularly $52.99!) with FREE shipping and FREE returns. Apparently babies love it! It has earned a 4.7 out of 5 stars from over 400 reviewers. 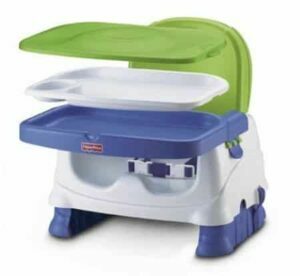 I also noticed this highly rated, Fisher-Price Healthy Care Deluxe Booster Seat on sale for $23.99 (Regularly $29.99!) with FREE shipping and FREE returns. This item is also very highly rated with over 1,750 people giving this an average rating of 4.7 out of 5 stars! If you need to do some shopping for your child or a gift for a little one, you may want to jump over to Amazon.com to see what you can find. These deals are only valid for today or while supplies last. Happy shopping!